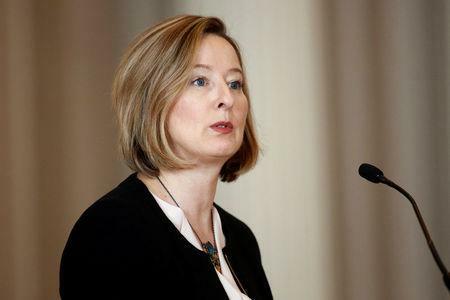 OTTAWA (Reuters) - Vulnerabilities in the Canadian housing market are still high despite rising interest rates and tighter mortgage rules, Bank of Canada Senior Deputy Governor Carolyn Wilkins said on Thursday. "The vulnerabilities are down but they are still high," she told an Ottawa conference arranged by the Canada Mortgage and Housing Corporation. It also released results of a model it said showed Canadian banks' capital positions would not be affected by a 20 percent correction in the housing market, with the biggest declines in Toronto and Vancouver.